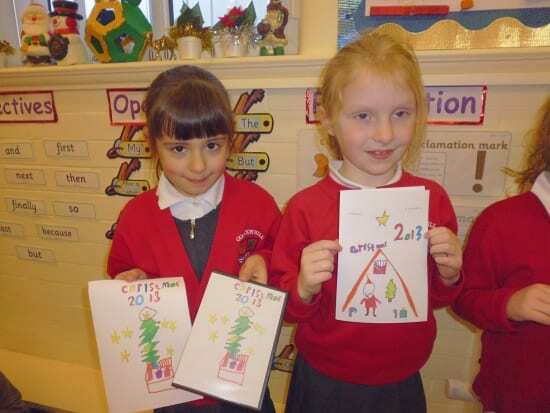 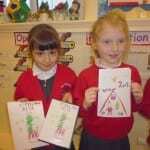 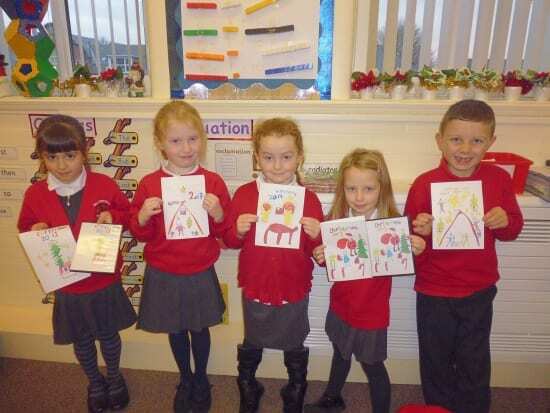 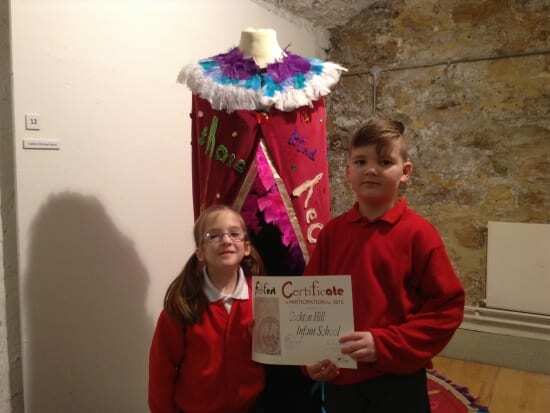 On Monday 9th February the annual Febfest Art Exhibition opened in Bishop Auckland Town Hall. 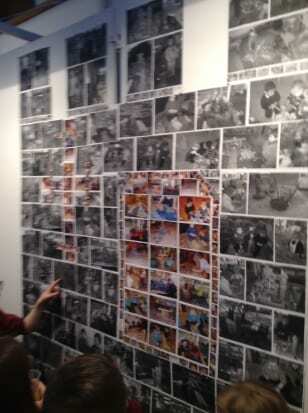 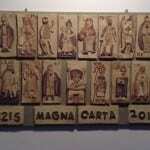 The theme this year was Magna Carta, which is about fairness and the protection of human rights. 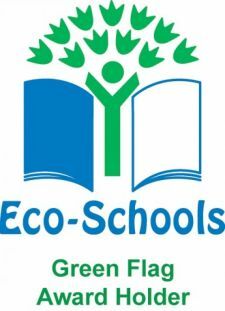 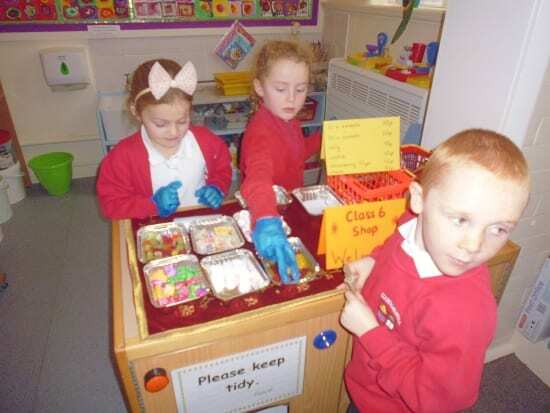 As a Rights Respecting School this is something our children are familiar with and they certainly have a keen sense of fairness. 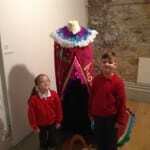 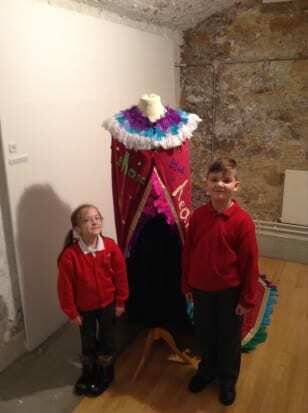 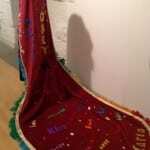 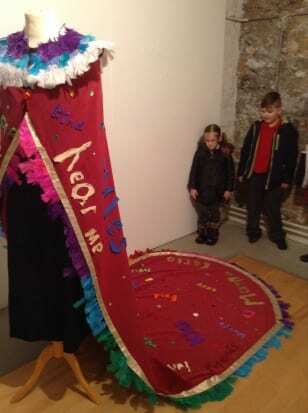 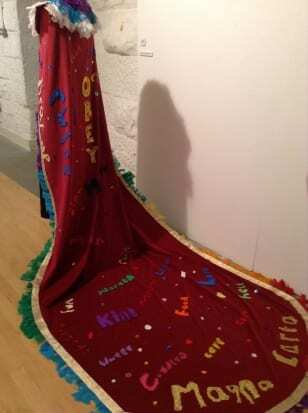 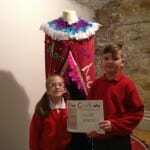 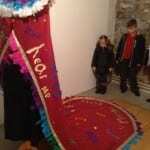 The artwork they produced is a cloak covered in the children’s own words which express their thoughts and feelings on their rights. 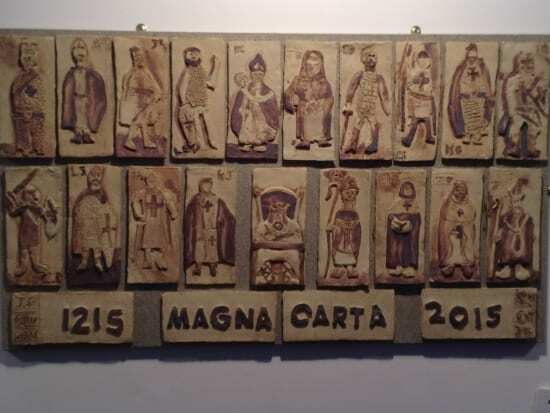 It is beautifully decorated with jewels and feathers to reflect the importance of this 800 year old document and how relevant it still is in today’s world. 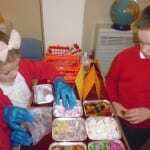 We were very concerned when we heard about Typhoon Haiyan and the devestation it had caused to families in the Philippines. 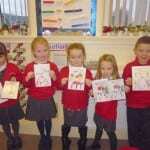 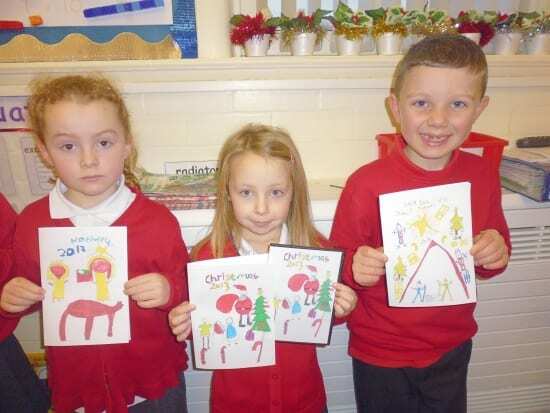 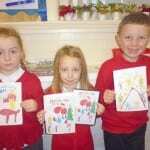 After looking at pictures on BBC newsround at the horrific scenes we decided that we should help in some way. 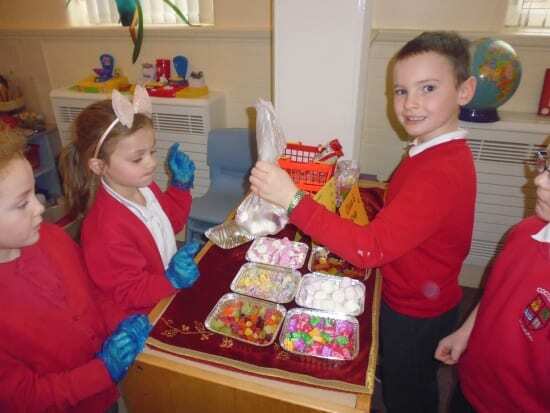 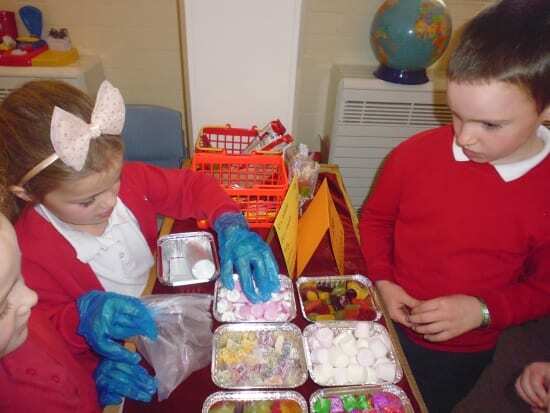 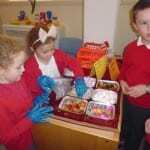 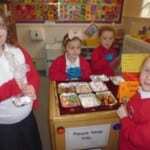 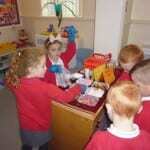 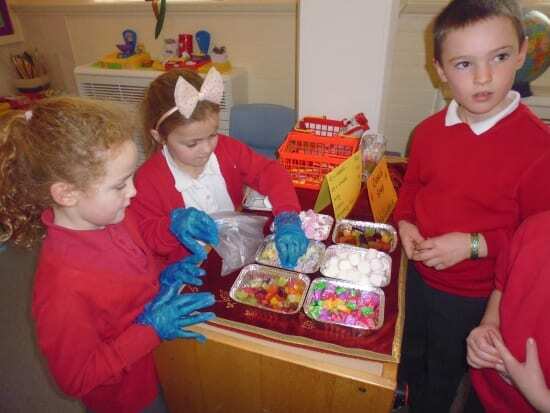 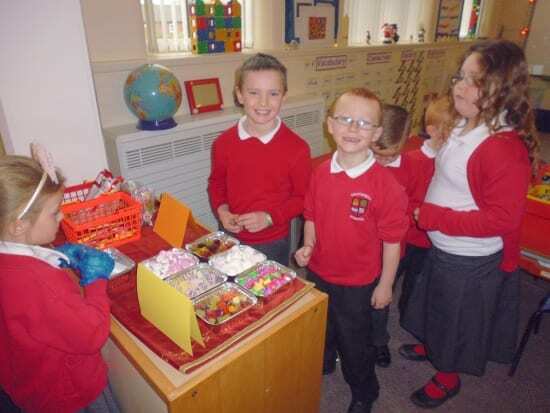 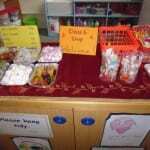 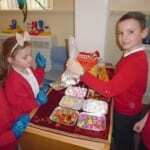 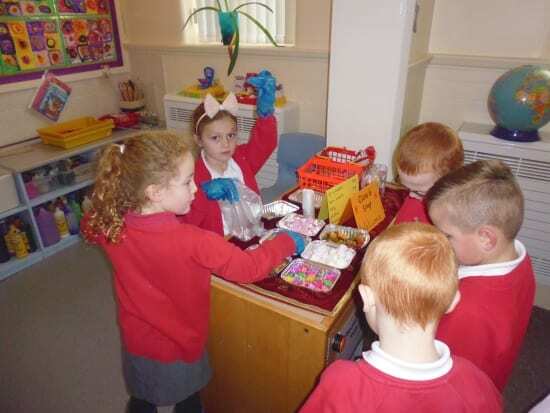 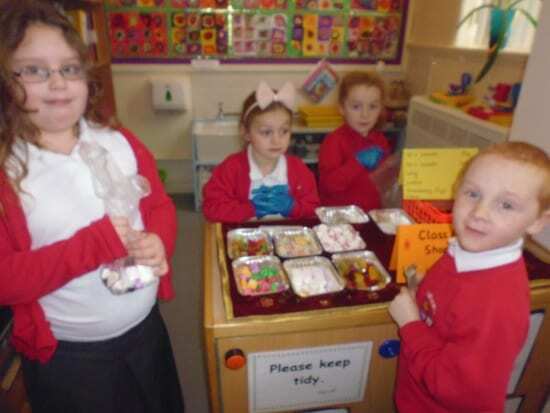 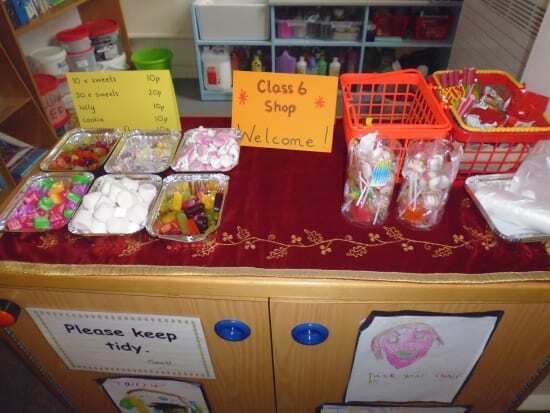 We made a tuck shop in our class and sold mix ups and lollies. 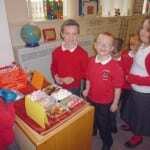 We raised £20 and this will be sent to charity.